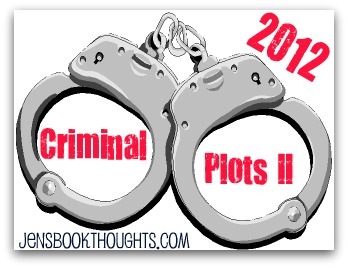 Criminal Plots II 2012 · review · U.S. In my quest to read something a little less somber, clear my bookshelves, and fulfill another requirement in the Back to the Classics Reading Challenge (book published over 10 years ago), I read After All These Years. I’ve read a handful of Susan Isaacs novels, and one was a family saga (Almost Paradise) and another was a sort of amateur-investigator book (Compromising Positions). The focus in After All These Years is definitely on character over plot, and I’m thankful for the comedy throughout. Additionally, I’m very glad for the low body count. The book begins with soon-to-be-divorced Rosie Meyers finding her husband Richie dead in her kitchen in her mansion on Long Island. She is the prime suspect, and she escapes after her husband’s funeral in order to investigate his life in New York City in order to find out who actually killed him. The plot is not fast-paced: most of the story involves Rosie meeting with her husband’s work colleagues, clients, and romantic interests. There is also a heavy dose of Rosie and Rick’s backstory as a couple. While the book was entertaining, it felt a bit long to me. There’s a lot of uncovering of her husband’s infidelities and the unhappiness among her well-off friends. Also, Rosie falls into the category of extremely lucky amateur investigators. This is not a police procedural obsessed with accuracy. I’m ready to get back to a somewhat grittier read. 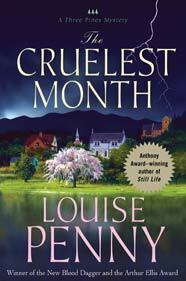 I adored the first Inspector Gamache book, Still Life, and I’ve liked the subsequent books, including this one.I’m not usually a fan of cozy, small village mysteries, but Penny is very good at creating characters with interesting psychological lives, which makes her books stand out over other cozies with an assortment of eccentric village residents. Also, she is very good at weaving in the backstory of Gamache’s fall from grace within the Surete because he exposed his superior Arnot’s misdeeds within the department, leading to a trial. I preferred the Arnot plot to the murder mystery in this particular book. This particular book involves Gamache’s third murder investigation in the village of Three Pines. Someone died during a séance in an abandoned home on Easter Sunday. The woman leading the séance is a Wiccan, and the book is a bit heavy on the background of paganism and the whole spooky-house-where-bad-things-have-happened story. Spooky ghost stories are not my favorite thing, but the first section of the book wasn’t bad: it was good to see recurring characters from the earlier books, particularly the artists Clara and Peter Morrow. While investigating the murder, Gamache deals with his police colleagues who are against him after he exposed Arnot’s misdeeds. This story line will be satisfying to readers of the series from the beginning because the story of the case and its ramifications are clearly spelled out after being only hinted at in earlier books. It is a bit jarring to move between the village and the politics at Surete headquarters (it feels like two very different books), but I’m grateful to have more of Gamache’s professional backstory. I did enjoy this book, but I think it works best if you readit in order instead of joining the series here with book three. This book has also been reviewed at Today I Read and Mysteries in Paradise. I read this book as part of the Criminal Plots II Reading Challenge: book whose protagonist is the opposite gender of the author. This book is my entry in the Criminal Plots II Challenge, a book written by someone from my state of Michigan. Hamilton was born and raised in Michigan, this novel takes placei n Michigan, but he currently resides in New York. A Cold Day in Paradise is Steve Hamilton’s first novel, and his first novel in the Alex McKnight series. Alex is an ex-Detroit cop who was shot three times while his partner died during the same attack. He retired and moved to his father’s hunting cabin resort near Sault Ste. Marie, Michigan, in the Upper Peninsula. Six months before the start of the novel, he became a private investigator, and the novel follows his first murder case. The actual plot of the story involves Alex being stalked by Rose, the man who shot him and killed his partner fourteen years before. It’s a psychological thriller. I don’t want to give away more of the story, specifically the body count. I cut debut crime novels, especially first-novels-in-a-series, a bit of slack because there’s a need for exposition about the character and his setting, in this case. The main body of the story is a bit slow as Hamilton gets into Alex’s backstory and environs. In part it felt slow to me because the ex-cop-with-post-traumatic-stress-disorder trope feels a bit old to me (this book was published in 1998). Also, Hamilton relied too much on geographical descriptions of McKnight’s wanderings. There are a lot of accounts of what streets and highways Alex drove as he pursued his investigation. The actual setting of the northwoods in the Upper Peninsula and the town of Sault Ste. Marie and the locks didn’t seem that vivid to me, but that may bebecause the book took place in the beginning of November during hunting season. It’s not a beautiful place tha ttime of year. The saving grace of the book is its last fifty or so pages. My guess is that it won its awards based on that ending, which set up a very interesting future forMcKnight as a P.I. : he has reason to become a quite jaded and cynical P.I. based on the resolution of the case. I’m willing to read further into the series to see if it improves, which I think it does based on the sheer number of awards Hamilton has won. And one more note about this book: Sylvia, Alex’s love interest, is a severely underwritten character. She does not have much to do, everything seems to happen to her, and she doesn’t have much of a back-story in this novel. I may need to write a post about underwritten female characters because I feel the need to vent. I’m joining the Criminal Plots II Challenge for 2012, hosted by Jen. Here are the categories and three of my preliminary picks. 2. Book published at least 10 years ago- Something by P.D. James. 3. Book written by an author from the state/province/etc. where you live– I’m live in Michigan, so I’m thinking Megan E. Abbott or Elmore Leonard.